Check out this large corner lot location! 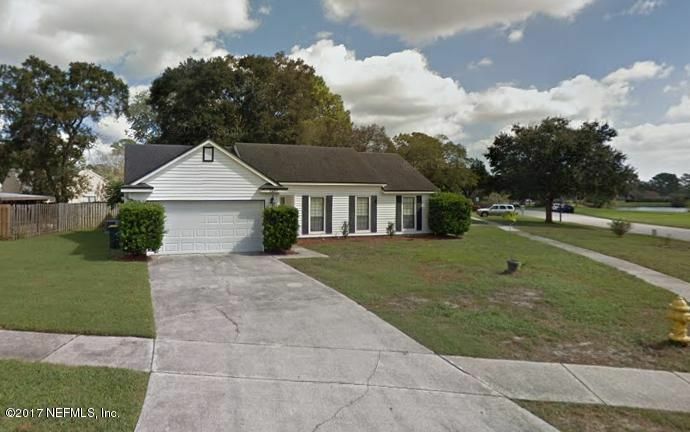 3 bedroom, 2 bath with separate dining, living room and family room is walking distance to the tennis, volleyball and basketball courts, 2 community pools and the walkway around the VOP fountain.This one is ready to be called home! Every room freshly painted in neutral Sherwin Williams City Loft, new lighting fixtures and ceiling fans, spacious kitchen with new back splash and a breakfast bar as well as stainless steel appliances. Master suite offers sliding barn doors to newly tiled master bath. Seller will consider monetary allowance with acceptable offer, to replace carpet in bedrooms.Super friendly and social community, 'A' rated school zone and quick drive to beaches, shopping or Castaway Preserve. Photos will be uploaded soon! This home has been on the market since Dec 29,2017. Courtesy of FLORIDA HOMES REALTY & MORTGAGE LLC.